All the team behind Six, the musical phenomenon written by Toby Marlow and Lucy Moss, must be smiling a lot. Not only Six has come back to the West End after the first successful run of last year. Not only the show will open soon in Chicago, USA. Not only it won the award as best Off-West End Production last Sunday at the WhatsOnStage Awards. Not only it has been nominated for the Olivier Awards as Best Musical. But, most of all, people love it. And I can see why. We see Jarneia Richard-Noel as Catherine of Aragon, Millie O’Connell as Anne Boleyn, Natalie Paris as Jane Seymour, Alexia McIntosh as Anna of Cleves, Amie Atkinson as Katherine Howard and Maiya Quansah-Breed as Catherine Parr competing to get the title of best wife. All Henry VIII's Six wives tell us their own stories, each in their own individual style. We laugh with the hilarious script (although some jokes can be missed if you don’t know the events), we dance with the excellent choreography (Carrie-Anne Ingrouille) and we enjoy the brilliant vocals of the girls, who are supported by four talented musicians. The energy doesn’t drop for all of the 75 minutes and the audience is on fire: the Arts Theatre, from this point of view, is the perfect place to contain the electricity and the energy in the room, which probably would be harder to convey in a big theatre. 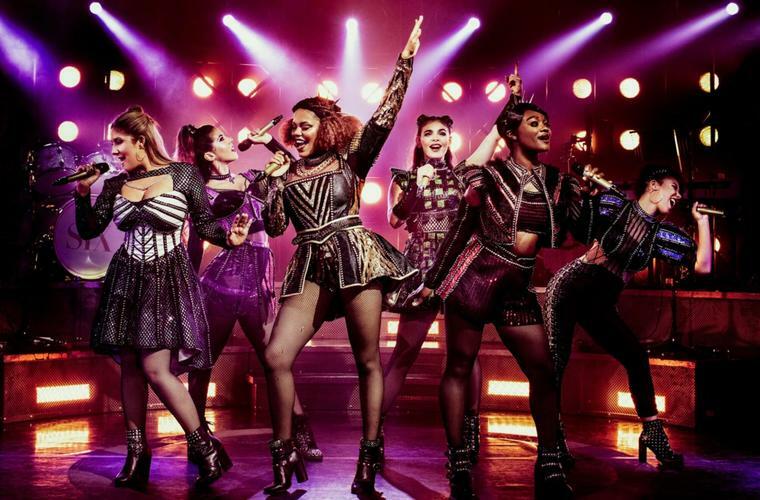 However, the lack of plot makes Six more of a pop/R&B concert than a musical, and I think that is what the audience should expect: a sassy, original night of catchy and upbeat songs. Like for Hamilton and Sylvia, it is great to see shows that are able to reinterpret history, bringing to the theatre crowds of young people who want to leave the world behind and have a night of musical fun.